My morning routine is something that has improved over the years. I used to get up one hour before I needed to leave, and between showering, putting myself together, letting the dogs out and grabbing breakfast/lunch for the day, I was always rushed and running late. These days, I really enjoy mornings. I wake up about two hours before I need to leave. 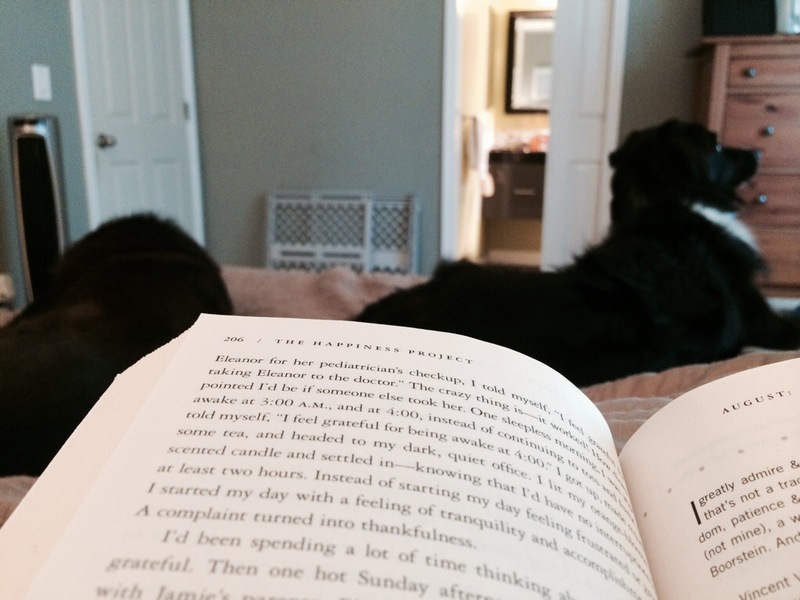 I have found that waking up earlier allows me a slow morning, full of snuggling my pups and finding time to read for fifteen minutes while sipping my coffee. It’s all about making time for things you care about. My current morning reading is The Happiness Project. I love that in fifteen minutes I can put myself into a positive mindset, learn something, and get inspired to be better. You don’t know what the day will bring, so why not start it off right? Some days are difficult and seem to get worse by the hour, and in those days, I can always reflect on my morning. Today’s BGD, find the beauty first thing so you have it to hold on to throughout the day.